Probably 90 defender or wrangler but they are a bit over the 15k budget. Under 15k id probably say sierra or gq shortie. Kj cherokees are not too bad either and they are under 15k. 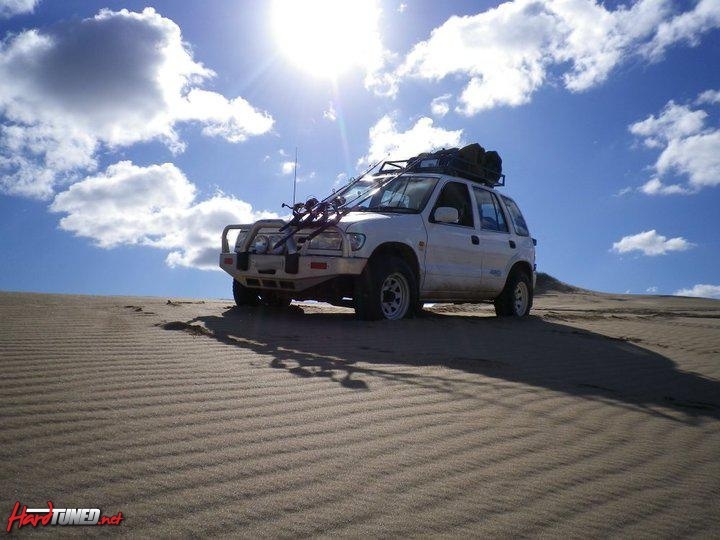 My friend has one and it's a pretty capable offroader actually with a lift and bigger tyres. Yeah wouldn't mind a wrangler but they are really thirsty , was thinking of a shorty pajero or possibly a 70 series. How are thoose Jimmy's off road? And up hills? What's your wrangler like on fuel? well thats not too bad then, i thought they were heaps worse, what tyres you running? a mate runs a TJ with only 31's on it & he'd dream of getting that sort of economy, he needs a tanker to follow him around on the open road it's that thirsty. A cheap 70 series would be good but like swb gq's they are getting a bit old and I think you'll struggle to find a newer 70 series under 15k. Fix up a td gq or get a wrangler? Wrangler in my books too, it's not going to be great on fuel but they're machines off road and great fun with the roof and doors off. If you're doing rockcrawling you can be more aware of your positioning because it's smaller with short overhangs. what are the 2.8 td wranglers like? how many kgs can you hold on the racks? what are they like to tow with? Is that the V6 one? I have heard that doing the timing chain on the V6 is an absolute mongrel. So if your going to buy one make sure its already been done. As for SWB everybody will laugh but my last one was a 99 Kia Sportage and for the money (Cheap) it was awesome. Great little fishing rig, my old man even did the Simpson in it. Just get rid of the vacuum front hubs and chuck some Warn manual ones in for a couple of hundred bucks and your done. Doesn't sportage have independent suspension front & rear? the early sportage were solid rear axle & they're a very similar build/design to the Vitara/GV... almost like they based the whole design off the suzuki's. 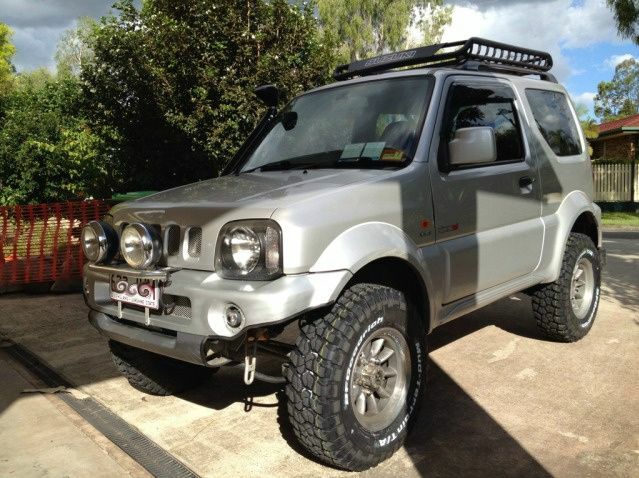 white 98, lifted with snorkel & a heap extra's on Gumtree? if it is, that's a mates bus, not a bad unit hasn't had much offroad work & has done very little kms since he bought it 3 odd years ago. yeah the timing chains do have a tendancy to rattle, it's mainly due to poor service history gumming up the oil galleries that pressurise the hydraulic tensioner.... usually a few quick oil channges & oil flushes they can come good. still 1000 times better than owning a KIA, there is a fair amount of aftermarket support for the 98-06 GV's unlike the KIA.